Look no further! 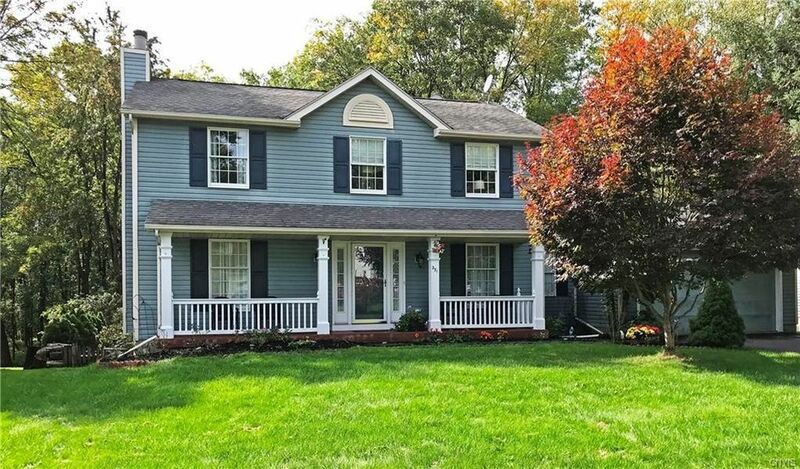 Lovely, updated Colonial in Woods Edge neighborhood! Beautiful, recently updated kitchen with matching SS appliances, large pantry, granite counters & breakfast bar flows into an open concept Dining Room w Hardwood Floors. Family Rm has a wood burning Fireplace & the laundry is conveniently located on the 1st Floor. Sliders from Kitchen open to multi tiered deck that overlooks a very private, wooded back yard adjacent to Onondaga Lake Park. Upstairs features an Owner's BR Suite with Vaulted Ceiling & Bathrm with Whirlpool Tub. Recently updated 2nd Full bath too! The Finished, walkout basement offers even more living space, with home theater rm, Wet Bar, Den & 3rd Full Bathrm. Located on a quiet Cul de sac this neighborhood has convenient access to major highways and amenities.